Our products and services are high in quality and environmentally friendly, and will help you save energy (and therefore money) in both the short and long-term. The right insulation products and services will keep your home cooler during the summer and warmer during the winter. With us, you can have peace of mind knowing that you’re getting the most out of your home, saving as much energy and money as possible. Energy Audits: In order to completely fulfill your home’s energy saving potential, we first have to establish just how much energy you’re losing every year, and why. We are a BPI Certified company, meaning we have all of the training and experience required to complete a comprehensive, full-home energy audit. When that’s done, we can complete all of the work that needs to be done. After that, we can complete a follow-up audit to ensure we’ve reached our goal. Air Sealing: Our technicians will caulk and weather-strip your home, sealing up all areas where you’re losing air. Attic Ventilation: We will install baffles in your attic, which will prevent insulation from blocking air flow. These baffles will also prevent the accumulation of moisture, which in turn results in mold and rot. 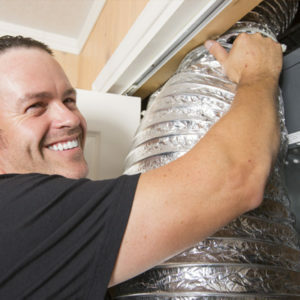 Duct Sealing: Roughly 20 to 30 percent of air escapes from faulty or damaged duct systems every year, according to the EPA. Warm and cool air escapes through leaks, holes, cracks, and damaged areas, meaning your house is less cool during the summer, and less warm during the winter. This also means you’re paying more money in energy bills. Our St. George insulation services will seal all areas of your ducts through which air can escape. 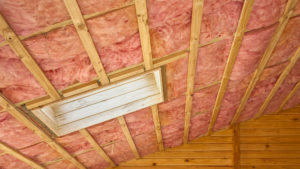 Fiberglass Insulation: Most people think insulation is solely for keeping houses warm during the winter, but it can also be used to keep them cool during the summer as well. With our fiberglass insulation, you will save energy all year round. This insulation will also reduce greenhouse emissions, and prevent the accumulation of condensation on the ceiling and walls. Not only that, but it also maximizes your home’s comfort level as well. Our St. George insulation services include a Customer Satisfaction Guarantee, as well as a Lifetime Guarantee Against Insulation Settling. If you are not satisfied with our products and services in either the short or long-term, we will do whatever it takes to remedy the problem at no extra cost! When you choose Eco Insulation, you can rest assured that your home’s maximum energy saving potential is being realized, and that you’re saving as much energy and money as possible.